Podesta has attempted to downplay his relationship with Joule and Rusnano, but it could come to haunt him. One potential legal problem for him relates to the time he joined former President Barack Obama’s White House staff in 2014 as a senior counselor and failed to reveal his 2011 Joule stock vesting agreement in his government financial disclosure form. Further, he failed to disclose 75,000 common shares of Joule stock he received, as disclosed in a WikiLeaks email. 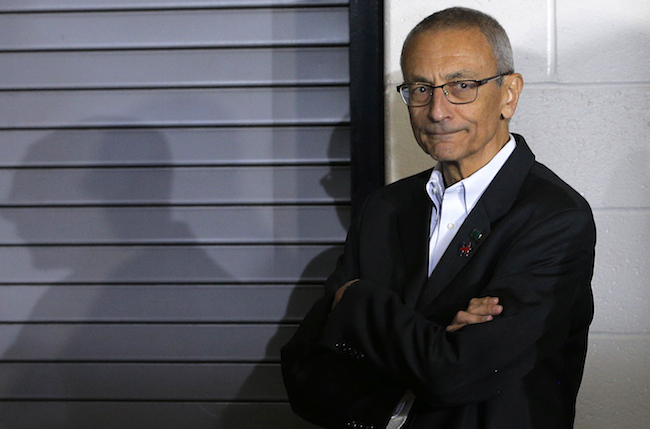 After Podesta began working at the White House, his lawyer indicated in a Jan. 6, 2014 email that he had not yet finished the legal work on the private transfer of the stock to a family-owned entity called Leonido Holdings, LLC. Gohmert’s call for an examination of Podesta’s Russian ties comes as Washington is in the grips of a set of allegations about Russian ties to President Donald Trump and his aides, as well as charges of Russian influence during the presidential election. Gohmert is troubled about the Podesta-Russia connection, telling TheDCNF, “this certainly needs to be reviewed to see if there really is something nefarious going on with these activities.” Gohmert sits on the House Judiciary Committee and is vice chair of its subcommittee on crime, terrorism and homeland security. The Podesta-Russia connection also could rekindle a new round of questions about Clinton relationships with foreign figures — in this case, Chubais. Chubais, Russia’s deputy prime minister in the 1990s, owed his personal fortunes to Bill Clinton, who embraced him as a “reformer” in former President Boris Yeltsin’s government. Clinton’s ally instead created a new generation of tycoons who today rule Russia. Podesta’s role at Joule was largely unknown until last year when the nonprofit Government Accountability Institute (GAI) published a highly-detailed report on Russian ties to Podesta and the Clintons. An ongoing federal lawsuit, Neas Ltd, v. Rusnano, which is now before the U.S. District Court for Northern California, suggests Podesta and others at Joule may have unwittingly assisted Rusnano in a scheme hatched to move billions of weak rubles into valuable U.S. dollars by parking them as “investments” in high-tech companies in Boston and in Silicon Valley. A deposition by Ilya Ponomarev, an architect of Russia’s innovation enterprises and the former chairman of innovations subcommittee in the Russian Parliament, shed light on Rusnano’s plans in the United States. He says its primary objective “was the transformation of Rusnano from a state-owned corporation to an enterprise suitable for operations in the United States.” Ponomarev now lives in exile in the United States. Shortly after then-Secretary of State Hillary Clinton pursued her “reset” with Russia, state-owned Russian companies began targeting American companies in Boston and Silicon Valley as investment opportunities. In May 2010, under Hillary Clinton’s leadership, the Department of State facilitated a visit by 22 American hi-tech and venture capital firms to Skolkovo, Russia’s version of Silicon Valley, according to GAI. Rusnano appears to have been a leader in the Russian investment move into the United States. 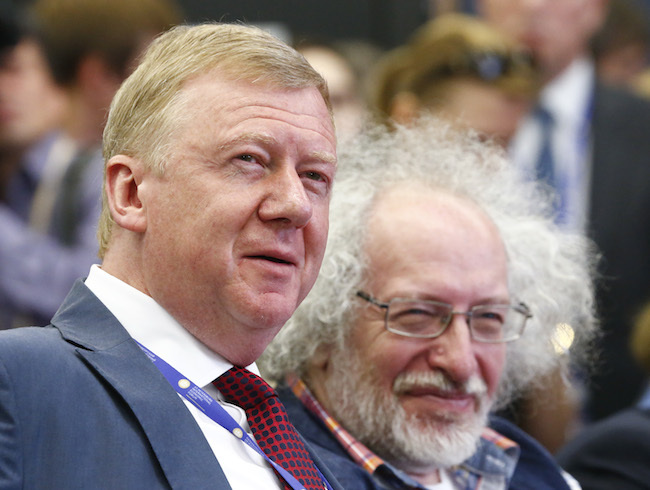 Chubais created a Rusnano “investment fund” and set up a so-called “Russian Innovation Center” in tony Silicon Valley, according to the Neas lawsuit. The company opened shop in Palo Alto called DJF Venture Fund, a venture capital fund advised the Russian company. Rusnano targeted Boston where Joule’s U.S. operations were centered. In 2010, Chubais joined a Rusnano “road show” and gave a presentation at MIT. A Rusnano managing director also addressed the Harvard Faculty Club. An Oct. 5, 2011 Rusnano PowerPoint presentation by Dmitry Akhanov, Rusnano USA president, promised American businessmen “cheap money.” Rusnano dangled $4.6 billion in government contributions and $5.7 billion in state guarantees. Lucia Ziobro, the special agent in charge at the FBI’s Boston field office, issued an “extraordinary warning” to Boston-area high-tech firms in 2014 about Russian investors to startups like Joule. “The FBI believes the true motives of the Russian partners, who are often funded by their government, is to gain access to classified, sensitive and emerging technology from the companies,” she wrote in a Boston Globe op-ed. Podesta’s emails also show how in 2015 Podesta continued to help Rusnano even though he had left Joule’s boards. Podesta’s lawyer told him he did legal work for the Rosnano president to get on the Joule board. Rusnano was a special company formed by decree at the direction of Putin. A small group of Putin cronies called the “Kooperative Ozero” masterminded the takeover of big swaths of the Russian economy. The Ozero group are eight men — including Putin — who owned expensive dachas on a lake outside of St. Petersburg. They now run state-owned banks, the news media and oil and gas companies. “Chubais was in charge of the whole privatization process during the 1990’s under Yeltsin which was notoriously corrupt,” he told TheDCNF. “Billions of dollars in property changed hands under conditions that were unethical, illegal, criminal. He was in charge of that whole process,” he said. The DCNF contacted but received no replies from Joule Unlimited, Rusnano USA or Podesta.